They say if you stick a bunch of typewriters in front of a roomful of monkeys, they’ll eventually churn out Shakespeare. Now, I’ve never seen that proven but here’s a fact: artificial intelligence is now composing prose. I like to read Engadget . It keeps me updated on technology of all sorts, no matter who or what developed it. So a story caught my eye the other day: AI-written novel passes first round of a literary competition. This competition, taking place in Japan, marked the first time an AI-human collaboration garnered serious consideration. 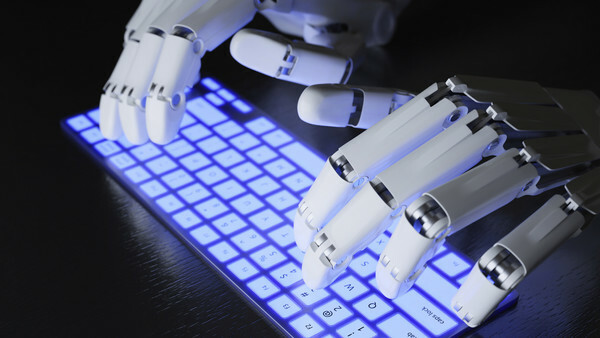 The Hoshi Shinichi Literary Award opened up its competition to artificial intelligence for the first time this year. Out of 1450 submission, 11 were human/AI collaborations. Now, it’s not like the AI came up a great storyline all on its own. It had help, of course. Humans gave the AI the necessary components to create a story: vocabulary, a basic plot outline, sentences and phrases. With these ingredients, AI worked its muse and put forth a pretty darn good entry. Of course, it was science fiction – what else? Competition judges read through the AI/human and deemed it good enough to pass onto the next round. I’m willing to be that made the authors quite proud. All the while, the judges never knew The Day a Computer Writes a Novel was anything but a human invention. Alas, while the story turned out to be well-structured, imaginative and inventive, it failed the character development test, leaving someone else (human, I’m assuming) to win the coveted prize. So while this particular entry to the Hoshi Shinichi Literary Award competition didn’t garner first place, it did come out a winner of sorts. Imagine if you were one of the writers who got left behind and this robot beat you out. Part of me would feel kind of pissed off, insulted maybe, and yet, I’d be scratching my head. Has the sci-fi market gotten to the point where the objects of its plots are now the ones creating the new stories? If left to its own (plot) devices, what sort of plot will an AI write? Steampunk? Electrifying thrillers? A Cyborg in shining armor saving the day? Kind of gives a whole new meaning to Asimov’s Laws of Robotics, eh? I mean, if a robot write a really bad story, who’s being harmed – the art, the robot or humans subjected to reading it? Furthermore, will us humans be cast aside in favor of those who can churn out story after story, without food, water or air? No, wait…that’s pretty much every writer I know. It’d be pretty interesting to watch how this plot develops.